With AK Self Storage in Sheffield, everything is done to make sure that you get the best possible customer experience. Whether it’s your entire household contents, or helping with your relocation, you can remain relaxed in the knowledge that your personal items will receive the best of care. 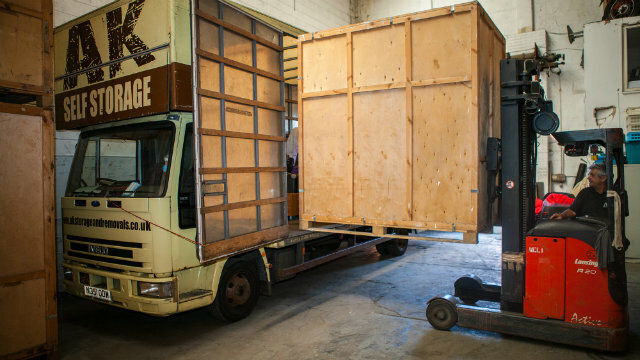 Our storage solutions offer you two options for the transportation of your items to our storage facility. We can either collect your items or you can have them delivered to us. Should you choose the latter, please contact us to give notice so that we can arrange for the storage containers to be located outside of our front entrance prior to your arrival. Once we’ve got your items in your storage container, we will seal it, label it with your details and inventory, and then fork lift it in to its position in our warehouse, until such a time that you need access to it. To find out more please take a look at our self-storage page. To the staff at AK Storage, all your items are priceless. All of our team members are very experienced movers and packers. Each member of the AK team will take the utmost care with all your personal belongings. Staff initials are listed on the inventory for every box we pack. Don’t have the right packing materials? Leave that to us. We can deliver all the necessary packing materials to you. To find out more, take a look at our packing page.